How can you maintain your pool during the winter? Winter is a difficult time for your pool. Between the freezing temperatures and the snow, there is a lot to contend with. 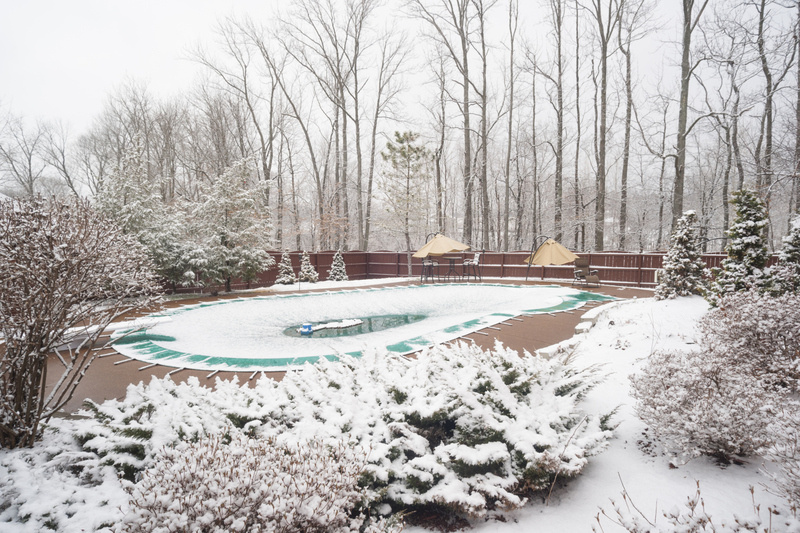 Thankfully, there are at least 4 things that you can do to ensure that your winter remains a wonderland and not a nightmare for your pool. Let’s take a look at how you can maintain your pool when winter strikes. It’s time to pull out the pool cover. One of the best ways to keep dirt, debris, and other items out of your pool during the off-season is to invest in a pool cover. There are several types for you to choose from depending on what you are looking for. A mesh cover will be exceptionally helpful in keeping the pool clean so that you will have an easier time opening it up when the weather gets warm. Do a little “Spring” cleaning this winter. The chemicals that you used this past winter should be disposed of during your off-season. You will need to invest in new chemicals for the next year. Think of it as starting fresh with the right resources to ensure the health of your pool. After all, old chemicals can cause big problems down the line. Invest in an algaecide to prevent big problems. In December, you may want to invest in a mid-winter algaecide to keep your pool from becoming the site of an algae bloom. You will need to add an algaecide or a preventative algaestat to the water. You will need to run the pump for 24 hours to ensure the best results. If your pool has already been closed up for the season, then you should think about doing this in the early spring right before you open it. At Paradise Pools, we believe in providing top quality products in a low-pressure atmosphere. We never want our clients to feel pressured into investing in a pool they do not completely love: we want you to choose Paradise Pools because you truly feel like we are the right fit for you. We are proud to say that we are not a volume builder because we prefer to take on fewer clients to ensure that we are able to focus on building pools to the best of our ability. Our clients’ satisfaction is our biggest priority and we go above and beyond to ensure that you are completely happy with the finished product. Follow us on Facebook, Twitter, Pinterest, Google+, and Houzz! This entry was posted on Friday, December 2nd, 2016 at 1:48 pm. Both comments and pings are currently closed.